Alaina is 17 years old, born in Surrey and raised in Abbotsford, B.C. Ever since Alaina’s first hip-hop class at age 4 it was evident she had a love for dance. Since an early age she has trained extensively in Jazz, Ballet, Pointe, Contemporary, Lyrical, Musical Theatre, Hip-hop, Acro and Tumbling. She is currently training at Harbour Dance Centre, Lavrova Ballet and Dance in Motion. Alaina loves traveling and enjoys training and competing at conventions, she is a confident and strong performer. You can tell she loves what she is doing. Alaina is a fast learner and can pick up choreography very quickly. Her passion and dedication has earned her many different awards including high scores, scholarships, bursaries and judges choice awards from every competition and convention she has attended. Alaina is not only hard working and dedicated to dance, but also her school work and studies. She is currently in grade 12, but has finished all of her courses a year early and no longer attends school. Alaina is recognized for her bubbly personality and contagious smile. 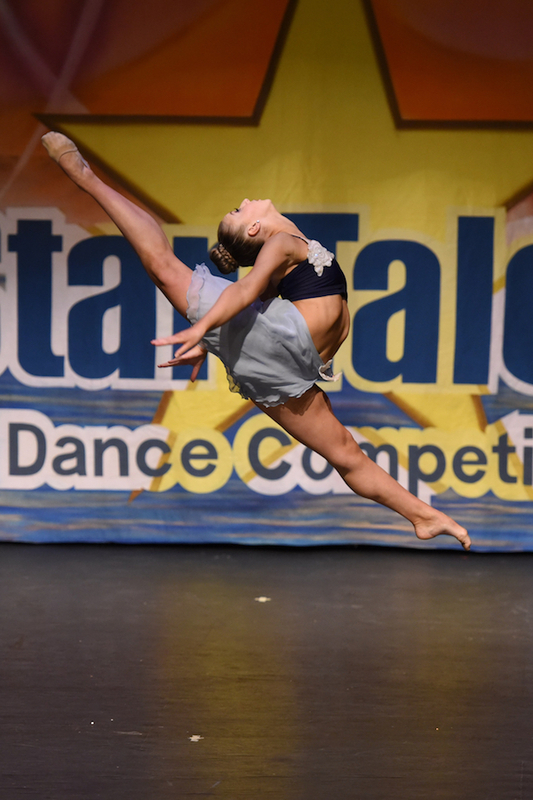 She believes that hard work will pay off and is always inspired by other dancers.